Intermediate results hairline and temple work. It is kind of funny to read that the density is too high … I mean wasn’t FUE density always inferior ? I guess in the right hands FUE density matches strip density. We take into account many variables before implanting at high density. In this case the area is close to 40 cm2 … so the density is ‘just’ over 50 grafts per cm2. This is a good result! Looks very natural, and the angulation is great!! 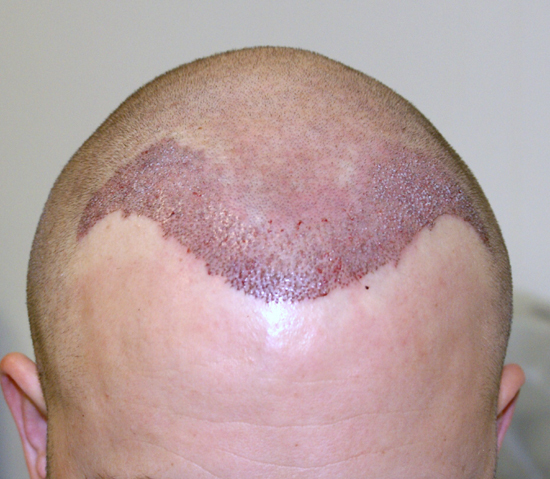 i am talking twenty years down the road, i predict most HT patients will be extremely unhappy once their thinning progresses and their donor hair is tapped out. » This is a good result! Looks very natural, and the angulation is great!! Agree, very good result and only 6 months, there might be more regorwth later on.